Was there ever a temptation to make this final outing substantially longer than the previous four? No, it's take too long to bloody write! [laughs] I find that whatever length I intend the book to be, they all come out about where I wanted them to. The books in the Young Bond series have all come out about the same length. Hurricane Gold was intended to be a little shorter because I didn't need the Eton setup and could get straight in to the story. To get in what I want to get in, they seem to come out at that length and the kids seem to like that they can get completely engrossed and lose themselves in it, but it's not so long that it becomes an epic. He did away with, virtually, the first third of the plot of most thrillers, action stories and detective stories. All of that is used to flesh out who the villains are and what they're up to. But all of that is done for you in that Bond formula, so Fleming could launch straight in to meat of the plot. He didn't always use it though, for instance in Goldfinger he sets up the villain, but generally that's the reason why more books are longer - my James Bond is not a spy yet so he can't be given a mission. Things have to happen to Bond which sets him off on his style of mission, which is usually acts two and three of my books. Did you have the title decided early on? Were there any other strong candidates? No, I didn't have the title to any of them early on! [laughs] They all came long after the books were finished and after lengthy discussions. I'm pleased with By Royal Command, I think it's probably my favourite title out of the series. It's very James Bond without being 'corny James Bond'. We did go through a few variations... By Royal Appointment was one, but that wasn't as punchy. I had various suggestions from the publishers, which sometimes jogs your mind and sets you off in the right direction. But we were all happy when we came to By Royal Command, and of course it gave the designers a nice foundation for the cover. We were worried about how to top the all gold cover for Hurricane Gold, but I was really pleased with how this one turned out. 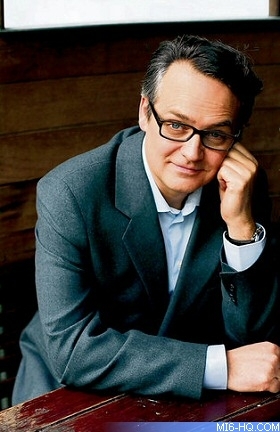 Above: Author Charlie Higson, who has penned five Young Bond novels, and the short story 'A Hard Man To Kill'. Originally, the publishers came up with this idea to call the book Diamond Heart, or Diamond something, and the hardback would have an inset diamond in each cover. The diamonds would really be plastic or crystal, but one copy would have a real diamond on the front. But I said to them, 'look, this is a purely marketing and cover design-lead title idea, and it really doesn't have anything to do with the contents of the book.' So we sent them away to rethink that. MI6 Note: Diamond Heart remains the title of the penultimate chapter of By Royal Command. Did you manage to cover everything in the five books that you initially planned? Were there any ideas that didn't make it? I think I did, actually. I took Bond to the place that I wanted him to get to, and I dealt with the maid incident and him leaving Eton, so I think it worked out really well as a series of books. The events of By Royal Command were going to be spread across two books: I had one story about the maid and that plot, and another about Bond being stalked by an assassin. But then I thought, if I put all of that in to one book, it would be quite meaty and that would free me up. It gave me a spare book in my plans, which became Hurricane Gold. It let me do anything I wanted with Bond and I wanted to send him somewhere hot. If I had stuck to the original plan, book four would have been skiing and a winter adventure, and as the maid plot was based around Eton, it didn't give me much scope to go anywhere exotic. I was quite pleased when I could shunt those ideas all in to book five, and take Bond off on a crazy adventure in book four. 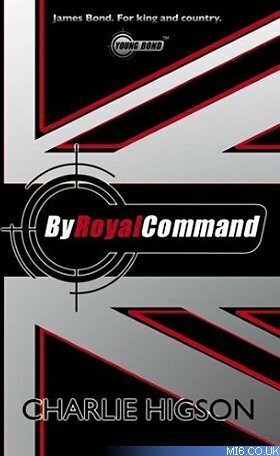 By Royal Command is available in hardback and paperback in the UK. To read an exclusive interview with Charlie Higson about the entire Young Bond series, check out issue #6 of MI6 Declassified magazine.